The project has ended but it is not the end! 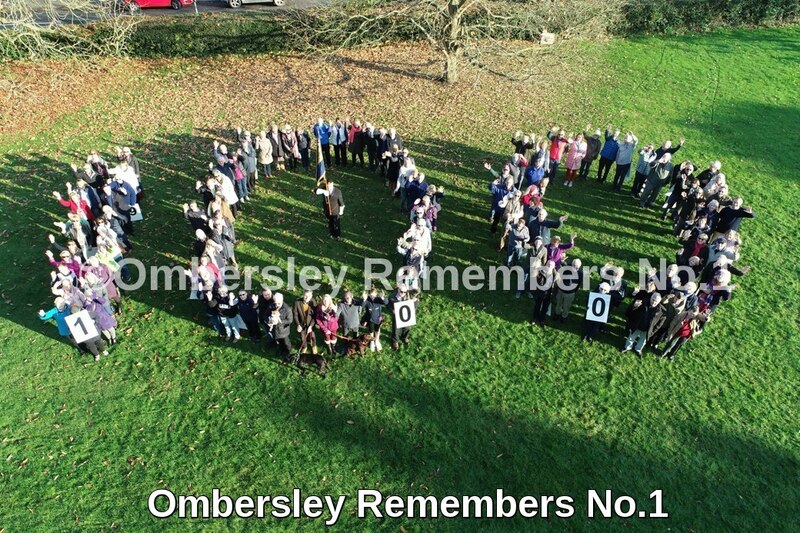 ‘Ombersley Remembers’ is an initiative by Ombersley Memorial Hall to mark the Centenary of the First World War, funded by a grant from the Heritage Lottery Fund under the “First Word War: then and now” grant programme. Click on each image to enlarge it. 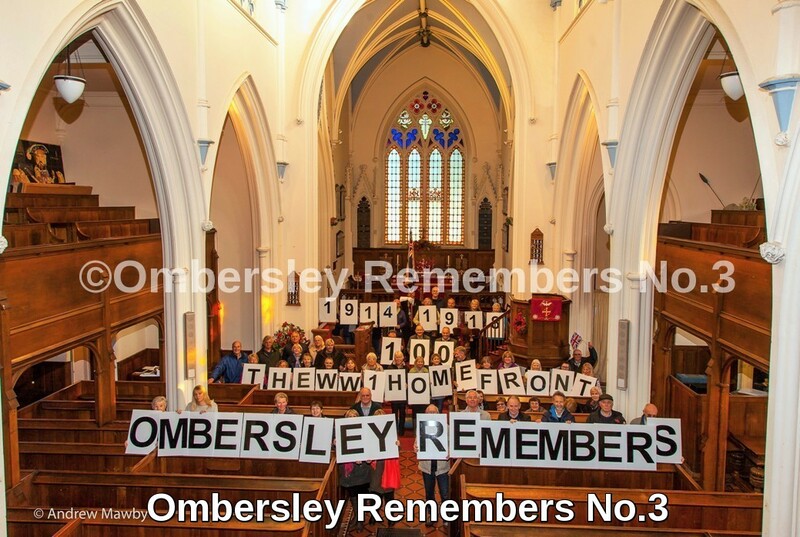 These 4 pictures are available from Marie Jones or Lesley Welch. Picture sizes and prices on request. Click here for more information. Our activities are divided into ‘projects’ – each one approaching the task from a slightly different view. 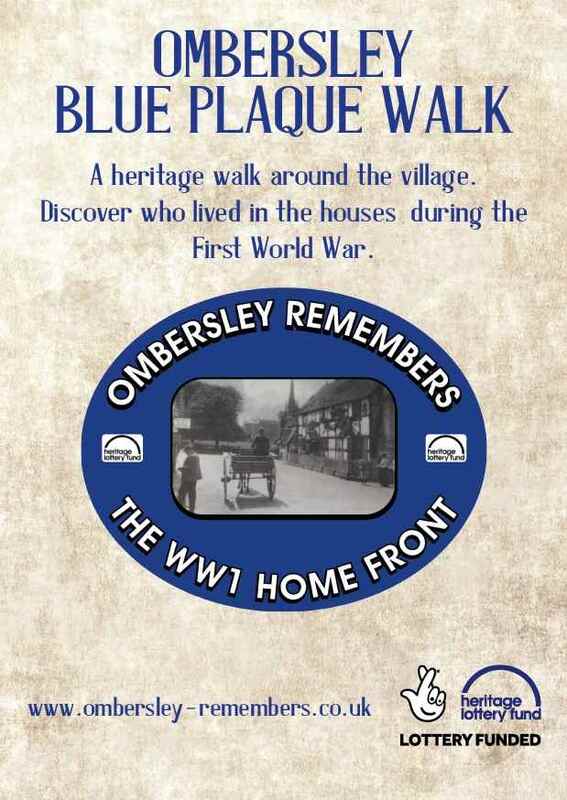 Join us for the Blue Plaque Walk, Cycle Ride, and more! Throughout 2018 we will be running a series of events to showcase the programme. Click the link to see the list. We hope you can join us for as many as possible. 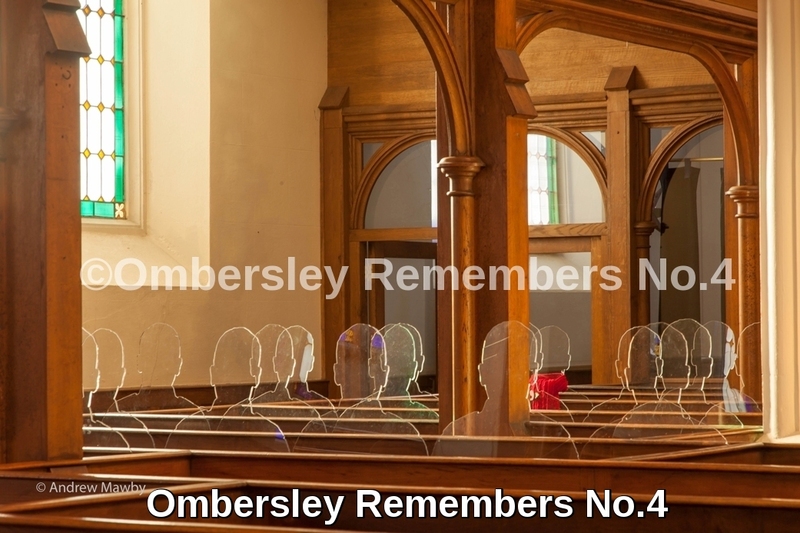 In this section we include interesting information that has been found out about Ombersley which does not fit into our projects section. Great to dip into! View our gallery folder which contains news on events past, present and future, and photos of our events. 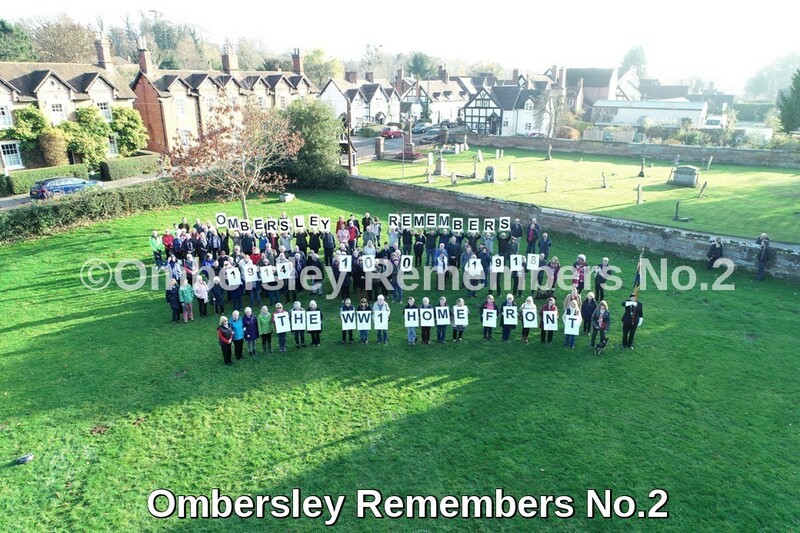 The Great Blackberry Pick is a project run by Droitwich Library under the same Heritage Lottery Fund programme as Ombersley Remembers. It looks at local children’s help for the war effort by picking blackberries! Click the image link on the right to find out more. 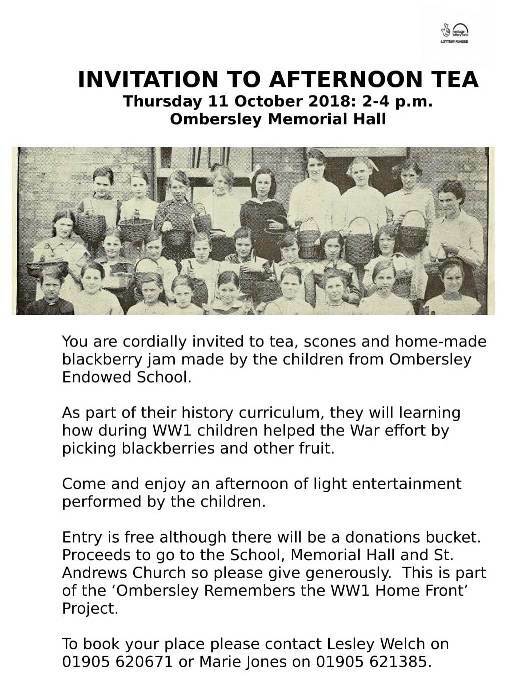 The children from Ombersley Endowed School produced this radio programme as part of their WW1 curriculum under the tutorage of Julia Letts, Oral History/Audio Producer.